Mumbai: For private equity (PE) firms, the logistics sector seems to be emerging as the flavour of the season. About half a dozen PE investors are targeting this sector along with other industries such as infrastructure, real estate and healthcare. Logistics involves the management of operations such as the acquisition, storage, transportation and delivery of goods along the supply chain, from the point of origin to the point of consumption. The logistics industry is broadly divided into ocean freight, air freight, rail freight, trucking and third-party logistics (3PL) services. The Indian logistics market is estimated to contribute around 13% of the gross domestic product (GDP). In July, UTI Asset Management Co. Pvt. Ltd set up a PE fund worth $500 million (around Rs2,410 crore) in partnership with Germany’s HSH Nordbank AG and Kuwait’s Noor Financial Investment Co. KSCC to invest in unlisted infrastructure firms engaged in sectors such as roads, ports, power, logistics, airports and energy, among others. Tuscan Ventures, a Mumbai-based PE firm, has so far invested in two logistics companies. 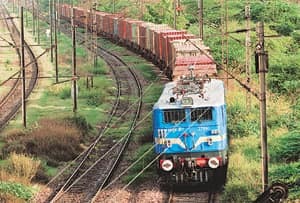 Managing director and chief executive officer Vishal Sharma said that in the logistics sector, domestic distribution companies, cold chains and railways are the growth areas. “I know of several deals which are under way and should be announced in the coming months," Sharma said. Increased demand for quality commercial space is also expected to boost the logistics sector, said Arun Goel, chief executive officer of DHFL Venture Capital Pvt. Ltd.
“We are already looking at this space and hence there is a need for logistics for transportation, building the infrastructure and for bringing in modern technology," Goel said. The firm will partner with US-based Redwood Capital Partners Llc to float a PE fund that will invest in logistics and warehousing companies. Both Goel and Mitra see potential in warehousing within the logistics sector though it is largely unorganized. Logistics companies that provide integrated solutions—from transportation to payment of local levies and completion of customs formalities—will be much in demand from manufacturers, said Manish Kanchan, managing director and founder of Sage Capital Funds Management. Aditya Birla Private Equity, which started fund raising a few months ago, plans to invest in logistics, among other sectors such as healthcare, entertainment and digital media. “Our belief is that irrespective of how the economy is moving, goods need to move. So for basic industries, where there is a huge quantum of goods that need to be moved, logistics plays an important role," said Aditya Birla Private Equity managing director and chief executive officer Bharat Banka. Within logistics, specific segments such as cold storage and warehousing need to be improved considerably. For the growth of the retail industry, investment in logistics is crucial. “It is an area which will do well whether the GDP will grow at 6% or 9%," said Banka. To be sure, there is a lull in PE deal making as the economy weathers a slowdown. The first eight months of 2009 have seen only 158 deals worth $2.83 billion, compared with 370 deals worth $9.8 billion in the same period last year, according to VCCircle data. For the January-August period, six logistics deals were reached, four of them in July and August. In 2008, 12 deals were reached in the first eight months, according to Venture Intelligence, a research service focused on PE and venture capital (VC) activity. This month, leading private equity firm Blackstone Group Lp is set to invest $23 million, taking the total commitment to $75 million, in Mumbai’s port-based logistics company Allcargo Global Logistics Ltd. US-based VC firm New Enterprise Associates (NEA) has invested Rs65 crore in New Delhi-based RT Outsourcing Services Ltd, a reverse logistics company. In August, Aureos India Fund and ePlanet Ventures invested $16 million in Continental Warehousing Corp. Ltd, while the International Finance Corp. (IFC), an arm of the World Bank, plans to invest $5 million in Snowman Frozen Foods Ltd.
Reliance Private Equity, a unit of the Reliance-Anil Dhirubhai Ambani Group (R-Adag), has begun roadshows to raise Rs2,000 crore. The fund will focus on six sectors—services, retail, logistics, media, infrastructure ancillaries and clinical research and healthcare. In April, India Value Fund (IVF), a PE firm, acquired a majority stake in Inlogistics for Rs200 crore. In July, Fung Capital invested $30 million in Future Supply Capital Solutions. BTS Investment Advisors Ltd, a Switzerland-based PE and VC firm, invested $5.16 million in Caravel Logistics Pvt. Ltd. “The logistics segment has been a relatively favourable investment destination for private equity players because logistics companies stand to benefit from the enhanced spending on infrastructure both by governments and the private sector," said Arun Natarajan, managing director and chief executive officer of Chennai-based Venture Intelligence.